I never put much stock in a Hitchcock title out of force of habit or lack thereof because he never seemed to. But thinking on Notorious I came to the rather unextraordinary epiphany that it refers to lovely Ingrid Bergman as much as any Nazi, at least from a certain perspective. In the film, she plays the daughter of a Nazi war criminal who was put on trial and found guilty. She, however, is not implicated in his deeds. Instead, busying herself with having a good time, drinking, dancing, laughing — all the superficial pursuits that can distract her from a post-atomic world. You might even say her reputation precedes her and that provides the framework for how others see Ms. Huberman. Namely, one government agent named Devlin, put on her case and writing her off early on as a certain kind of woman. There’s that initial shot at one of her parties where all the guests are dancing and drinking and everything’s jovial and there Cary Grant sits on the edge of the frame just his profile identifiable to us. And the beauty of the scene is that Ingrid Bergman starts talking to him but instead of showing us his face Hitchcock elects to wait until everyone is gone and they’re sitting together in the next scene. But already there’s this implicit sense that there’s something unusual about this man even without putting words to it. 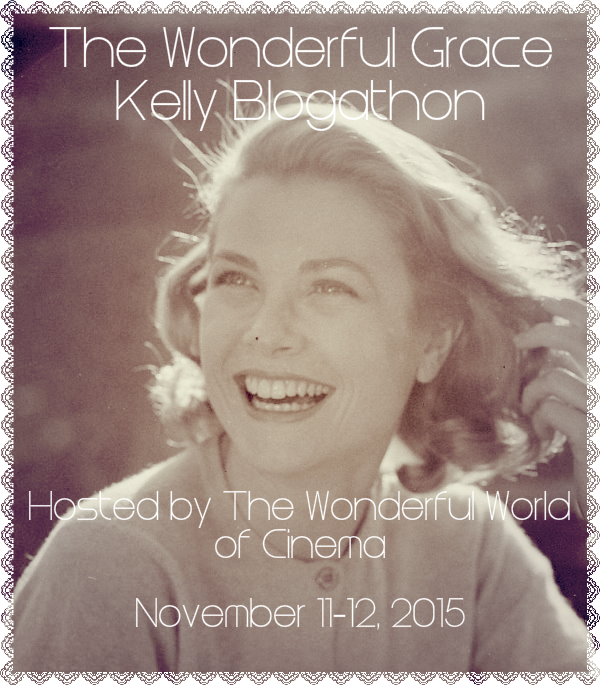 In the subsequent scene, we get our first view of Cary Grant and Ingrid Bergman together and how wonderful they look. 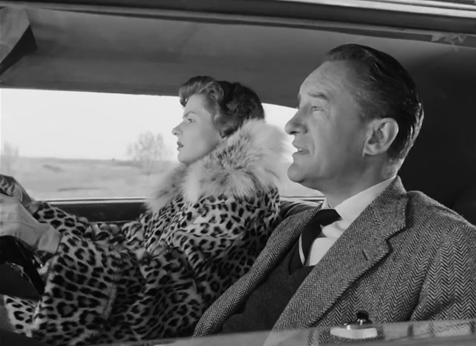 But Bergman’s character makes an off-handed remark about love songs, about how they’re a bunch of “hooey.” Of course, that pertains to this film and where it will decide to go in the realms of romance, but in my own mind, I see it also functioning as a reaction to Casablanca’s “As Time Goes By” — a film where lovers fell in love partially because of a song. It’s easy to put the title of a spiritual sequel on Notorious for numerous reasons. Once again we have Bergman and Rains in crucial roles and then trading out Bogey for another legend in his own right, Cary Grant. The paranoia of Casablanca is replaced with the sunnier disposition of Rio de Janeiro which nevertheless is underlined by a certain looming Cold War menace. In this case, instead of the letters of transit, we are provided a Hitchcock MacGuffin, including a bottle of wine, some uranium, and an iconic UNICA key. But if nothing else these minor remarks can put the debate to rest conclusively. Notorious is a spectacular film in its own right and it enters some similar yet still uncharted territory in accordance with the waters Casablanca chose to ford a few years prior. Meanwhile, Grant has glimpses of his previous self from other films but soon enough he falls into the role of cool and calculated federal agent Devlin in what feels like a true departure. There’s that supremely unnerving shot as we take on the perspective of a disoriented Ingrid Bergman as Grant walks into the room and hangs over her in a strangely alarming way. Everything is setting up the dynamic at this point. Still, others will remember the extended make-out session that made history by upholding the Hays Code ” three-second rule” while simultaneously perfectly encapsulating nearly an entire romance in a matter of four or five minutes. There was little else to be said because it was all seen in that one sequence and Hitchcock could proceed with his conceit. Because, ultimately, Hitchcock’s picture is built around this idea: The American government has a little job to be done and Alicia and Devlin are caught in the middle. Thus, it becomes that time-worn idea of love versus duty. In one sense, Devlin’s caught in a terrible position and yet in the other he treats Alicia so badly — and it’s not simply that this is Alicia but this is beautiful, sweet Ingrid Bergman that he is pushing away. Still, in pushing her away, it’s leading her toward the objective. He’s simply not willing to dictate anything because that means being vulnerable. Very simply he’s not willing to open up. Cary Grant has never felt so icy, so aloof, and so unfeeling. Then, on top of this, Sebastian (Rains) looks a far more agreeable fellow cast in such a light. He genuinely loves this woman even if she is a spy. It makes for a conflicted viewing experience. Though there is a juncture in the film where Devlin is beginning to shift his way of thinking. But as if on cue (undoubtedly) one line of dialogue out of Alicia’s mouth during a racetrack exchange (“You can add Sebastian to my list of playmates”) poisons his whole frame of mind again. His prior opinions of Alicia are confirmed and he sours to her — never giving her the benefit of the doubt from that point forward — and ultimately torturing her so that there is no other choice. Just like that, she goes through with it. Instigating her relationship with Alexander Sebastian (Claude Rains) and succeeding so thoroughly that she’s married to him soon enough. For the U.S. government this is a smashing success but for Alicia and Devlin it’s nothing of the sort. The descending stairwell crane shot is textbook Hitchcock and so often cited but it’s for that very reason. He so directly points us toward the cues of the scene and he does it with his usual technical elegance. He gives us a party but it’s a party underlined with so much tension because there are stakes that go beyond the nominal appearances. There’s the fact that Devlin’s one of the party guests but also Alicia has that all important key that proves to be their chance to figure out what Sebastian is hiding. But it also makes them far more suspicious. Beset with paranoia as much as illness she’s suffocated by the presence of her husband and mother-in-law. It looks like Devlin will never come to her. But he does. We’ve seen this before. Cary Grant comes to her bed as she lies there disoriented and looks up into the eyes of this man looking to be her savior instead of opting to use her. At least on one account, the tension has been resolved. But in the same breath never has there been so much sympathy as for Claud Rains in the closing moment indicative of how Hitch has even given his purported villain a chance to be sympathized with and Rain’s typically compelling performance does precisely that. So even in this final moment, Hitchcock is playing with us giving us that Hollywood ending that we desire and at the same time undermining it in a wonderful way that’s both suspenseful and artistically arresting. Notorious just might be the Master’s purest expression of his art lacking the micromanagement of Selznick in Rebecca (1940), the technical experiments of Rear Window (1954), the psycho-sexual layers of Vertigo (1958), the man-on-the-run motif of North by Northwest (1959), or even the low budget and marketing frenzy of Psycho (1960), while still garnering the highest production values in its day. 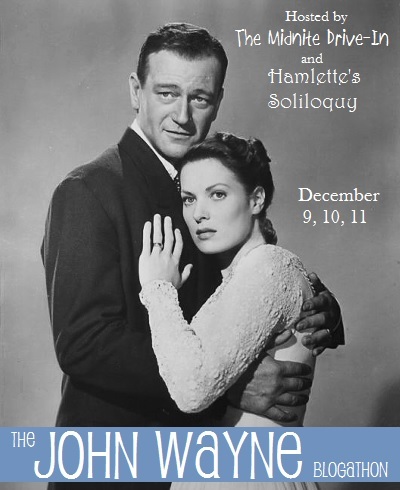 The results speak for themselves, positioning Notorious as one of the definitive romantic thrillers by any standard. It’s so easy to adore Ingrid Bergman and it’s no different in Spellbound. Yes, she starts off as an austere psychiatrist purely interested and invested in scientific thought and practices in psychoanalysis. However, by the film’s conclusion, she evokes the passionate vitality that made her so beloved in pictures such as Casablanca (1942) and Notorious (1946). The eminent Gregory Peck was still in the dawn of his career and while not your typical Hitchcockian hero, he is Gregory Peck a handsome actor with tremendous presence and a quiet dignity that made him an acting favorite for years to come, shortly to gain the reputation of an undisputed superstar. Put two such icons together and it’s honestly very difficult not to be won over, especially in a Hitchcock picture. In fact, I’m predisposed to empathize with both of them from the very beginning and to thoroughly enjoy this picture even if it’s hardly the best of Hitchcock or the respective stars. But the story about the female psychiatrist Constance who falls in love with her colleague and subsequent patient one Dr. Edwards does have its share of enjoyments without question, aside from the names above the title. As with any solid Hitchcock movie, there’s psychological duress and the man is implicated in a murder that he must run away from even if it’s proved he is innocent. So Spellbound is no question a romance and a bit of a mystery wrapped up neatly in a psychological thriller. Michael Checkov the famed Russian stage performer (and nephew of Anton Chekhov) plays Dr. Brulov, Constance’s old mentor — a charming sort of gentleman who is impertinent but oh so sweet to his friends — exhibiting the most jovial of personalities. Even today, there still is a certain logic to psychodynamic therapy as there is to cognitive behavioral therapy that seems believable depending on how it is utilized and who is practicing it. Thus, though there are jumps Spellbound makes that are a little bit preposterous or a little too easy to resolve — like the perfect correlation between dreams and reality — there’s still kernels of truth in this film and it must be lauded for tackling the ideas of Freud in ways that were fairly groundbreaking for their day. It also boasts the famed dream sequences inspired and partially orchestrated by the acclaimed surrealist artist Salvador Dali. His imprint is undeniable on the images that Peck recounts, reminiscent of the Persistence of Time and other similar works. Even Hitchcock would continue to address these topics with an arguably more Hitchcockian dream sequence in Vertigo and some similar analysis at the end of Psycho to assess Norman Bates. Of course, Hitchcock films are at their best when the plot is working in spite of dialogue. 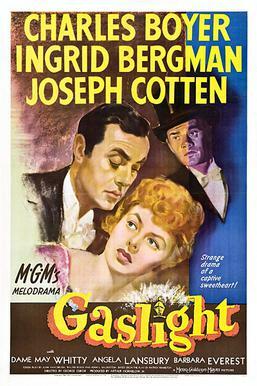 Though the script is composed by Ben Hecht who has a long list of wonderful accomplishments, there’s also the influence of the overbearing hand of David O. Selznick on the picture meaning it relies perhaps too much on verbal explanation instead of Hitchcock’s own timeless setpieces or visual approach to cinema. Still, he does manage a few perspective shots that are particularly interesting providing us the frame of reference of several of his characters in key moments. There’s also the benefit of Miklos Rozsa’s particularly elegant score which nevertheless is less a Hitchcock score as Bernard Hermann would famously compose later. In some respects, it suffocates the drama though it does include the cutting edge use of the Theremin, this marking one of its earliest appearances in a film score. But ultimately, Spellbound does have a delightful false ending, as things slowly spiral down into despair only to find their new conclusion as all the puzzle pieces of Peck’s character begin to fit together. His exoneration is followed by the ousting of the real perpetrator, another quintessential Hitchcock villain. The summation seems to be that though humanity might be wrought with shortcomings, many of them buried so deep inside, love does have an uncommon power to heal old wounds. The fault might be in ourselves but that need not be the resolution of the story. When someone inquires if I consider Casablanca one of my favorite movies, I don’t quite know how to respond. Yes, I do love this film passionately but I feel as if Casablanca is more deeply America’s favorite classic movie. It is not for me to call my own and I will gladly share a joint appreciation for it. 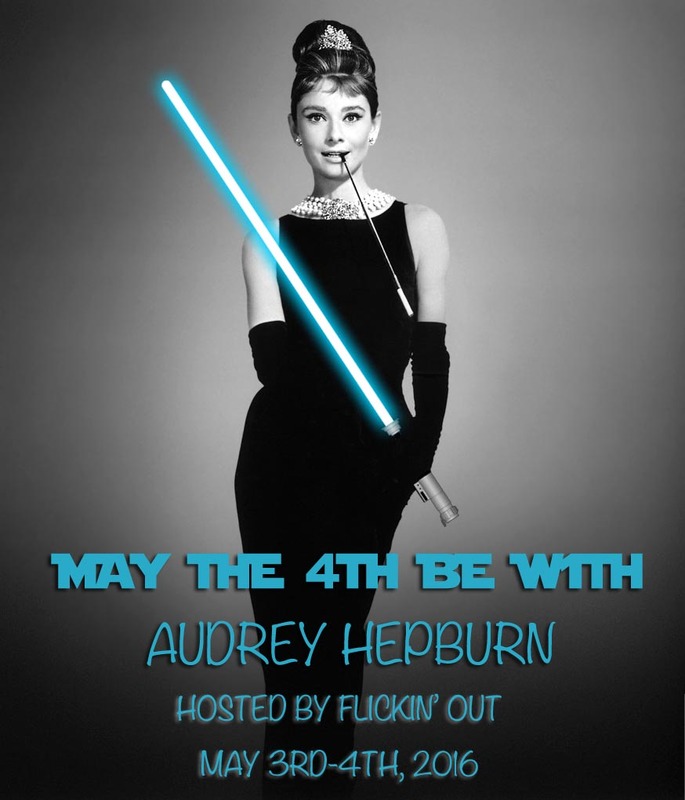 Because it’s a film for all of us. As it should be. It’s the perfect articulation and expression of that former Hollywood that existed during the studio age as brought to us by Michael Curtiz. When we are finally allowed to enter into Rick’s Cafe Americain, it almost feels like hallowed ground. It’s a mythical place that never existed in reality and yet feels so immersive to us as an audience. Curtiz moves through the space with such intent that it makes us completely involved with every person his camera settles on. This is a picture for romantics and sentimentalists to be sure but it caters to those with a cynical edge too. 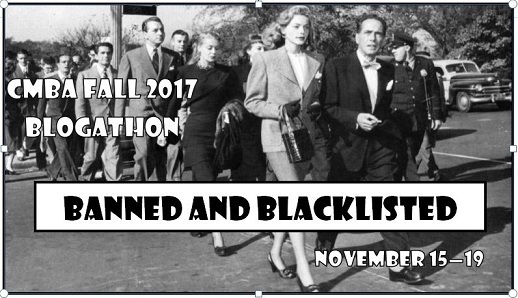 It suggests a deceitful world of pickpockets, unscrupulous officials, and of course, Nazis. The political tides of the times are reflected in that cinematic bastion of a man Rick Blaine (Bogart). His foreign policy is that he sticks his neck out for no one. But that’s only on the surface. That’s the beauty of the character. There’s a sensitivity and a sacrificial nature that wells up deep inside him, hidden from view. Tortured and embittered as he is, that is not the last word. There’s also an undeniable undercurrent to the film. Yes, this is not reality. As enveloping as it is, this is wholly a Warner Bros. aesthetic but moreover there’s a sense that the emotions that deluge over Casablanca are very real. Aside from Bogart and the lovely, incomparable Ingrid Bergman, our cast is made up of a plethora of emigres, men and women, who fled the Nazis for this reason or that. Whether they were Jewish or had different political affiliations or just couldn’t bear to live under such an oppressive regime. Director Michael Curtiz was originally from Hungary and in him, we find someone who totally understood the plight of those fleeing and the context of the moment where Casablanca was only a pitstop for America. Because take the picture out of its context and something would be lost. Firmly plant it in the era and you have blessed the production with something enduringly special. Furthermore, in the scene where Lazlo (Paul Henreid) calls on the band to play “La Marseillaise” to drown out the German’s proud merrimaking it ceases to be a mere scene in a film but becomes an event that swells with real emotions. You can see it in the very body language, the tears in the eyes, and the fervor that comes over everyone. Madeleine Lebeau (the film’s last surviving cast member who passed away last year) singing defiantly, with the tears freely flowing. No longer acting but pure feelings incarnate. When so many other minority characters make me cringe in pictures of the 30s and 40s, Sam, the piano man (Dooley Wilson), remarkably rarely does. That’s because he’s endowed with a certain autonomy attributed to him in part by Blaine. They are partners, friends, and they watch out for each other. His singing holds the love story together. Like many of the film’s greatest faces, he’s not a mere sideshow attraction. There’s a necessity to his characterization that adds another dimension to the world that has been conjured up on the Warner Bros. lot. 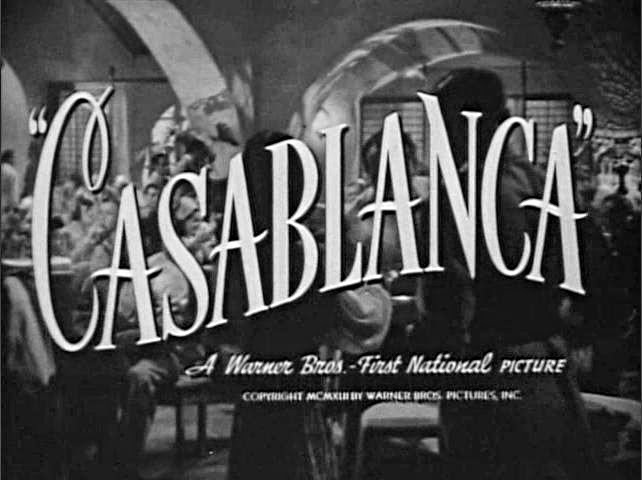 What would Casablanca be without Dooley Wilson, Peter Lorre, Sydney Greenstreet, S. Z. Sazall, Curt Bois, Leonid Kinskey, Marcel Dalio, John Qualen, etc.? It would lose so much color — so much definition. Another joy of the picture after you see it too many times to count is the continued relish of the script, waiting for your favorite lines only to be taken with new quips that you never picked up on before. For me, most lines of this nature come from the wonderfully amoral and yet completely personable Captain Renault (Claude Rains). But there’s also so much going on around the edges of the frame. One of my favorites involves the young woman who fled from Bulgaria with her husband. The young lady is played by Jack Warner’s step-daughter Joy Page. Here we see a relationship that mirrors that of Rick and Elsa in a way that only becomes apparent later on. Because she is a woman desperate to get to America with her impoverished husband. He is trying to win money gambling but it’s a desperate even futile situation. She loves him so much, she is willing to try and use her own beauty and the influence of another man, Inspector Renault to help the man she truly loves. There’s so much subtext to the scene written with the production codes in mind and the sincerity is immediately evident even if some of the import can be lost on us. The same can be said for the foreshadowing. Part of what makes the picture’s final act work is the fact that Lazlo is such a decent human being. He loves his wife so much, he’s willing to have Blaine take her to safety by using the Letters of Transit if need be. Thus, this dichotomy is set up and Rick must make a decision. He must do the thinking for both of them but that request from Lazlo saves Rick’s reputation no matter the decision that he makes. We know that either might be right. Even though deep in our hearts, there’s only one denouement we want. Did I even need to write this review? Certainly not but it’s more for my sake than anyone else’s. Casablanca is a dear friend of mine and after 75 years it still comes up smelling like roses. Its themes are timeless in the sense that it allows romance to be its guiding light while still tempering it with the disillusionment and licentiousness that often is so prevalent in this world of ours. That makes its bittersweet interludes ring with a certain deep-seated truth that never comes off as fake. It’s as evocative and witty now as it was in 1942. Perhaps even more so. Journey to Italy is the splintering of a relationship where the slivers of bitterness begin to wedge themselves under the skin. It’s like slow, painful, nagging torture. 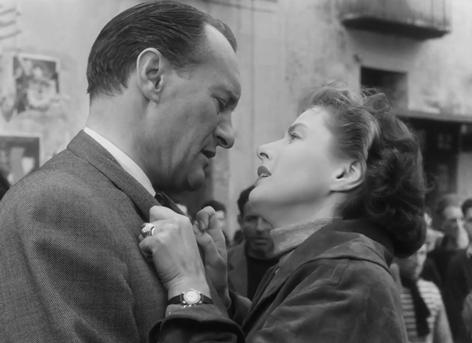 Roberto Rossellini’s noted romance film feels like the antithesis of Roman Holiday. It avoids the other film’s bustling streets for more secluded getaways. It leaves behind fairytale romance and fun, for the bitter onset of marriage and middle-age. It seems hardly exciting, mostly driving and sitting, drinking and eating. Rather droll to say the least. And yet this in itself is juxtaposed with lively impassioned tunes and historic pieces of architecture and sculpture snuggled up against the Italian countryside. Because it is a goldmine of culture whether you look at Pompey or the remnants of the Greeks and Romans. 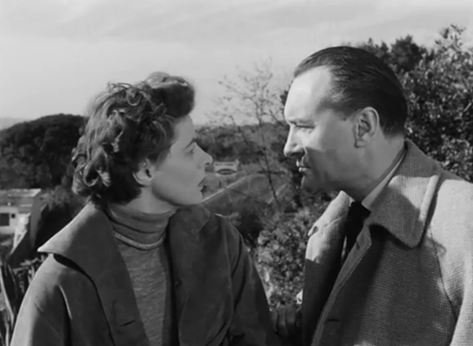 There is a glorious history here and yet it makes for a rather meandering backdrop for our two stars Ingrid Bergman and George Sanders. Again, Bergman especially was a big name (and at the time Rosselini’s lover) and though usually a supporting player Sanders was usually held in high regard. They feel like the exact inverses of Gregory Peck and Audrey Hepburn, in a way that’s rather intriguing. Yet again, as an audience, we do feel like tourists taking in the sights, but this time we’re riding along with a couple who don’t know what to do when they’re alone together. They don’t know what one is to say or how one is to act, because, in all honesty, they haven’t tried too hard. We don’t get much of their backstory, but they are certainly well-off because he takes his work seriously and it shows. But he hasn’t taken his marriage all that seriously and that shows too. His wife is more like his partner in this business endeavor they have going. She keeps up appearances, and he can offer her a lot in return, but hardly love. It struck me that is a film about a faltering relationship and here is a couple that seems to be apart as much as they are together.They think that the best thing they can do is stay away from each other because no damage can be done that way. There’s jealousy, pettiness, biting sarcasm, all ready and waiting to be unleashed. Alex fosters a liking for a young Italian girl, and although Katherine doesn’t know all the details, she suspects as much from him. To combat Sander’s snide tone that can cut to the quick, Bergman counters with a thick layer of sulking. Thus, I’m not sure about the denouement of this film. Will they stay together or get the divorce that they both seem to have come to terms with? It seems like they might possibly make things work, or is that just the work of the romantic Italian countryside around them? Because no passionate embrace can alleviate and completely overshadow their myriad of problems. They are unable to communicate on a meaningful level, and they treat each other rather poorly more often than not. In fact, this film is an interesting study, but there is a lack of investment in these characters. After all, it’s only a quick snapshot that gives us a feel for a relationship. I’m probably partial to the similar feeling Before Midnight (2013) because we are already given two films beforehand to truly grow invested in the characters and their story. But there’s no doubt that Rosselini’s film with Bergman and Sanders is well worth the journey. Directed by George Cukor and starring Ingrid Bergman, Charles Boyer, and Josesph Cotten, with Angela Lansbury, this film begins rather abruptly with a young girl in England who witnessed the aftermath of her aunt’s murder. Then in a whirl wind she has become married to a nice young pianist and they move back to her old home in England to settle down to together. From that point on everything begins to change gradually. Gregory has a violent outburst over a letter, Paula loses her brooch mysteriously, a picture is misplaced, there are seemingly footsteps from above, and the gaslights change for no apparent reason. Gregory continues to manipulate and isolate his wife telling her it is for her own girl. A traumatic night at the opera and the new maid only worsen Paula’s mental state. She soon believes she is sinking deeper and deeper into hysteria thanks to Gregory. However, a former admirer of her aunt becomes curious of Paula and tries in earnest to meet her as he reopens her aunt’s case. Finally, they meet and together they piece together what is really going on. In the final climatic moments the inspector comes to Paula’s aid and she turns the tables on her husband. All the main players do a wonderful job, especially Bergman, and this film was built up nicely. My only qualms would have to be Joseph Cotten playing an Englishman and I found it hard to follow in the very beginning. 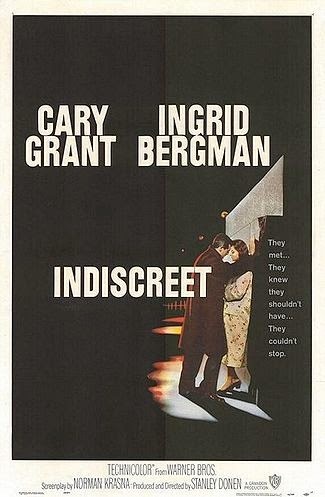 This is a solid romantic comedy which pairs the legendary Cary Grant and Ingrid Bergman one last time. Bergman is a well-known actress who has success, but has never experienced true love. Then she meets Philip Adams, a man who literally walks up to her door since he is a friend of her brother-in-law. They become acquainted and they turn into fast friends. Bergman finally feels she has found the one and their love grows. However, the only problem is that he is married and estranged from his wife. Little does she know what is really going on and yet when she does it throws their whole relationship into jeopardy. She has one final plan to get back at Grant and it really backfires, but in the end the two lovers get back together. In this film it was nice to see two more middle aged stars paired. 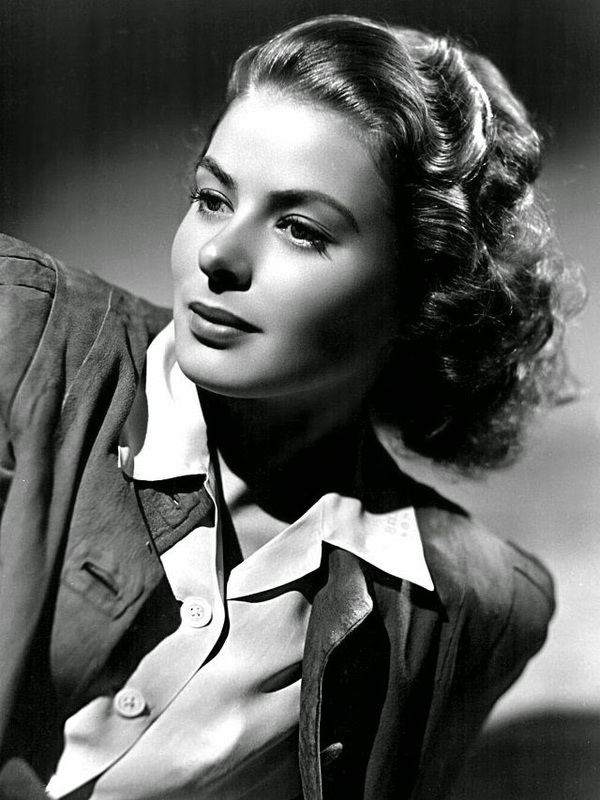 I enjoy Cary Grant with Audrey Hepburn or Grace Kelly, but I think Ingrid Bergman is more his contemporary. Some of the best sequences had to be during the ball. Here Grant shows he still has the physical comedy ability because at this time he had fell almost completely into the debonair gentleman persona. 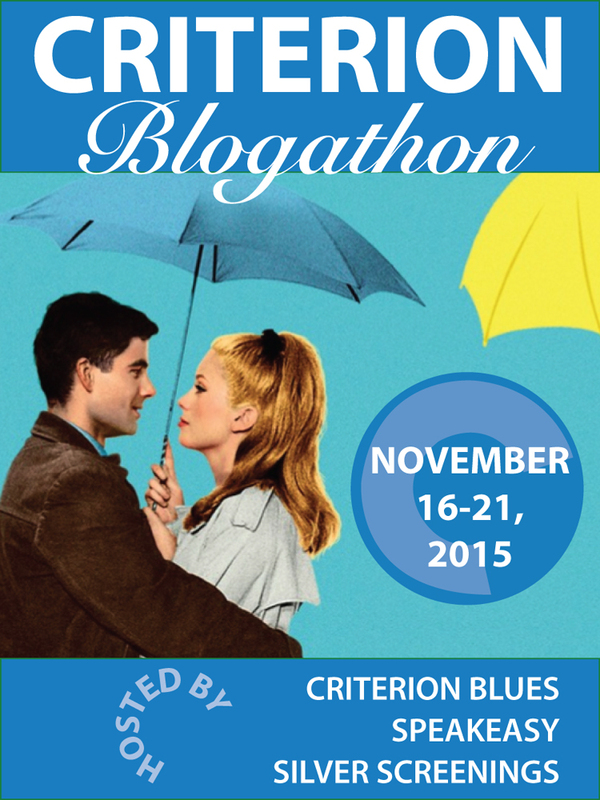 This is not a great romantic comedy but still a respectable piece from Stanley Donen. 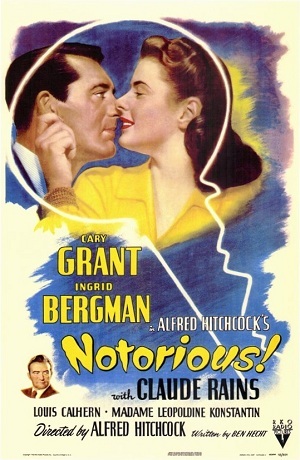 Pairing Cary Grant with Ingrid Bergman along with Hitchcock directing, Notorious tells a story of spies in South America after World War II. Bergman is the daughter of a former Nazi so she is enlisted by a T.R. Devlin (Grant) to spy on other Nazis in South America. Pretty soon Bergman has been accepted and is married to one of the men (Claude Rains). Bitter and cold, Devlin shows no pity for her plight. However, during a party an important discovery is made that puts her in danger. To make matters worse, she is now sick and the others are suspicious. Showing his true loyalty, Devlin comes to her aid before she is harmed and brings her to safety. To some extent we feel for Claude Rains who will be terminated if it ever comes out he married a spy and that pity is a credit to his portrayal. This film also seems to speak well of Grant as an actor since he plays so against type here. Hitchcock memorable used the key in the film to move the plot forward effectively. Aside from that a couple of sequences stand out to me. The first occurs when Grant enters a room and then we have the POV of Bergman’s heroine. She is lying in bed and drunk so as he gets closer he appears up side down in the frame. Then, there is the famous kissing sequence that all happens simultaneously while Grant is on the phone. The final one I recall is the tracking shot at the party that closes in on the key hidden in Bergman’s hand. Hitchcock practically shoves it in our faces so we know its importance. I think these moments reflect the great direction and showmanship of Hitch. Partially for this reason Notorious is undoubtedly one of Hitchcock’s best films with a truly stellar cast of characters. If Casablanca was the beginning of the story then this seems to be the perfect sequel. 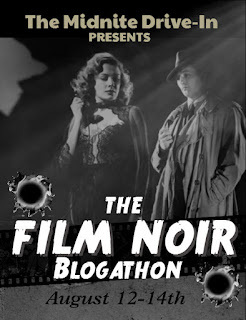 You have a WWII related plot, Bergman, Rains and Cary Grant to stand in for Bogart after all. But that is a topic for another post in the future! It was over 70 years ago that Casablanca hit the silver screen for the first time. All the main players are dead and gone now. The Golden Age of Hollywood, where pictures were being churned out with factory-like efficiency, has given way to a modern era of blockbusters. To borrow a quote from the movie, it doesn’t seem that one little film would “amount to a hill of beans” in our present world. Still, somehow Casablanca is beloved to this day, despite the numerous other films that have undoubtedly entered the black hole of film oblivion. It seemingly will not die and for good reason. Considered one of the greatest films of all-time, this well-loved classic deserves to be here. 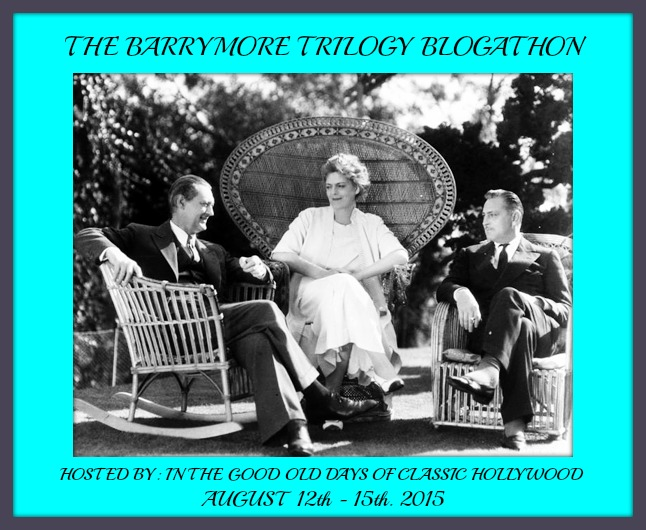 It is the hallmark of Humphrey Bogart and Ingrid Bergman’s careers. It also has one of the greatest scripts of all time, and it has achieved legendary status over the years. Many consider it purely the best film ever made and in all honesty, I would never try to refute that. The film opens quickly and we are immersed in a world that is at the height of the Nazi terror, and many people are fleeing Europe by way of Casablanca. It is a treacherous place full of pickpockets, corrupt authorities, refugees, and naive tourists as well. Two German couriers have been murdered and some invaluable letters of transit have been stolen. That’s when we are first introduced to Rick’s Café Americain and its cynical proprietor Rick Blaine (Bogart). A shady fellow named Ugarte (Peter Lorre) comes to Rick with the letters and asks Blaine to keep them for him. However, later that night Ugarte is taken into custody, and things begin to get even more complicated. Wanted resistance leader Victor Laszlo (Paul Henreid) is now in Casablanca, however, a Major Strasser has arrived from Germany to take him in. To top it off, Laszlo’s wife Ilsa (Bergman) was Blaine’s old flame in Paris and, needless to say, it didn’t end well. 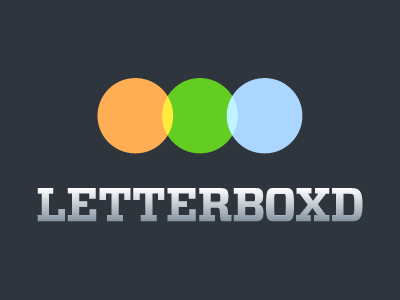 Laszlo desperately needs the letters of transit to escape, and he inquires about them. Soon he is led to Blaine, but as Rick often admits he sticks his neck out for nobody. Knowing all too well that he is in danger, Laszlo still shows his defiance against his enemies by leading the people in a round of “La Marseillaise” and as a result, Rick’s is shut down. All the memories of Paris begin flooding back, and then Ilsa confronts Rick in order to get the letters. This is possibly the most critical point in the film because this tense altercation ultimately renews the relationship between Rick and Ilsa. Rick asks her to trust him, and he begins to take things into his own hands. The results of his actions created one of the great romantic and cinematic moments in the history of film. The whole film leading up to this point hints at it, but Rick truly is a sentimentalist at heart. He can live with the notion that they will always have Paris and that leads him to commit a selfless act of love. This film holds such a tremendous presence in movie history, and upon seeing the movie it makes complete sense what all the hype is about. What more could you want than Bogey, Bergman, Casablanca, and some of the greatest quotes ever uttered? Do not forget the corrupt, but nevertheless lovable French Captain Louis (Claude Rains), who delivers some terribly witty lines. Honestly, he may be my favorite character in the whole film, and that’s saying a lot! Then, of course, there is the immortal tune of “As Time Goes By,” sung by Dooley Wilson which will forever be ingrained in film lore. However, you also gain an appreciation for the other interesting characters of Casablanca, some comical, some sympathetic, and others despicable. We have a rogue gallery of everybody under the sun from Peter Lorre, Sidney Greenstreet, German soldiers, various guests, and all the staff at Rick’s Place. This movie has conflict and the uncertainty of war in practically every scene because at the time World War II was in full force. There are a broken romance and a forlorn hero who shows his courage in the end. As an audience, we come to realize the transformation of Rick into a truly great man. Ilsa on her part has the most radiant face I have ever seen. It is wonderful that Casablanca succeeds as entertainment despite the fact that it is not modern. In fact, part of its charm is the black and white cinematography that helps make Rick’s Café so atmospheric. It effectively makes each interior shot moodi34 and every romantic scene even more striking. I am very doubtful that they would ever be able to pull this film off in color. It just wouldn’t work. In fact, with this film, my thoughts always go back to the script. 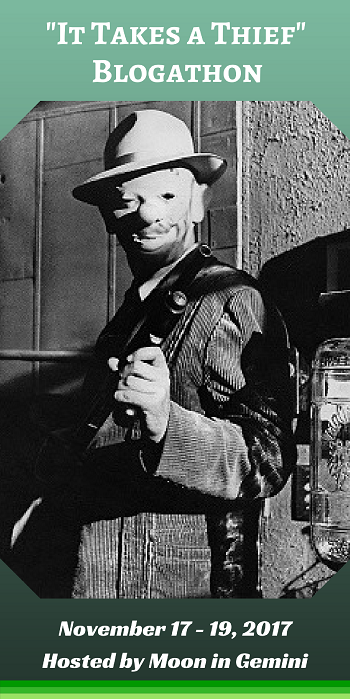 Lines like “Here’s looking at you kid,” “We’ll always have Paris,” and “Round up the usual suspects” are so rampant that you cannot possibly remember them all, and I doubt there will ever be another film that is so immersed in American cultural lexicon. Still, many of my favorite lines in the film are those that get overshadowed by the more famous ones. That is the sign of an amazing film that never grows old. Even those who have not seen this classic film like to think they have, because the influence of Casablanca reaches everywhere. I guess I’m rather an idealist myself so I would like to think that even if 70 more years pass, we’ll always have Casablanca. 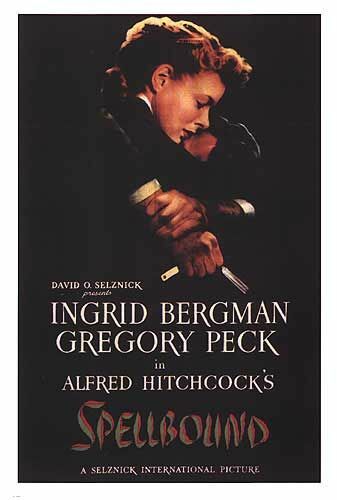 Directed by Alfred Hitchcock and starring Gregory Peck and Ingrid Bergman, the film follows the complicated story of an intelligent lady doctor skilled in psychoanalysis. Bergman’s character is very focused on her work and often withdrawn. That soon changes when she meets the new doctor (Peck) whom she falls for. However, soon Bergman realizes he is not the real doctor and further uncovers his state of amnesia used to forget his past. Trying to keep him out of the hands of the police, she takes Peck to her former colleague and they try to delve into his dreams. When Bergman finally seems to have all the answers unexpected complications arise. Now she must save her patient and lover before it is too late. Hitchcock’s directing, a great score, collaboration with Salvidor Dali, and good acting make this film worth seeing. Michael Chekhov is certainly good for a laugh or two as well.